I’ve been very lucky to have been given advanced access to the new Advanced Bonsai Course by Bjorn Bjorholm at BonsaiEmpire.com, and I was asked to review my thoughts on the course overall. Bjorn and BonsaiEmpire have also given me permission to publish a taster video (below) showing the styling of a Rocky Mountain Juniper bonsai. As expected from Oscar and the Bonsai Empire team, the video and sound quality is excellent, very clear and enjoyable whether watched on my phone or a tablet. I’ve now watched through the whole of the course, with highlights for me being of Bjorn styling two Rocky Mountain Juniper yamadori, followed by some excellent sections on Deciduous tree threadgrafting and rootpruning. The Rocky Mountain Juniper styling sessions had great explanations as to the thought process behind how Bjorn was going to implement-his design, through to prepping and then styling the tree. There was genuinely a lot of technical information that could be gleaned from the process and then re-applied at home in the garden. 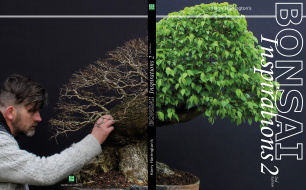 Aimed at advanced enthusiasts upwards, you won’t learn how to water or maintain your trees or any basic pruning techniques (they are addressed in the beginner and intermediate courses), but there is still a lot of mouth-watering and inspiring footage of top quality trees being worked on, and on display in Japan. In terms of the cost of the Advanced Course and whether it is worth paying for, I think it’s worth bearing in mind that enrolment enables you to get as close as it’s possible to having a 6 hour one-to-one with Bjorn Bjorholm from the comfort of your living room!